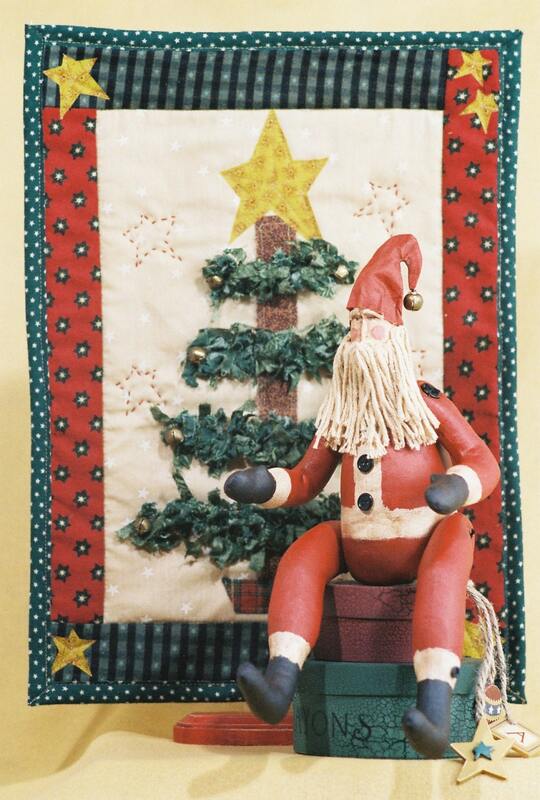 FH-82 Belsnickle Santa and Quilt Display E-pattern Doll 15" Tall. Quilt 13 1/2" Wide x 18 1/4" Long. Body and hat is muslin that is painted and stained. Face is needle sculpted. His arms and legs are jointed. Beard is made of yarn He is adorned with buttons and a bell on end of hat. Instructions for quilt and quilt stand are included. He is replicated from an antique Santa. Easy to Intermediate skill level. Makes a wonderful Christmas decoration and craft fair product. Mailed pattern complete with easy to follow instructions, doll pattern, quilt pattern and complete suggested materials list with photo of finished doll and quilt.